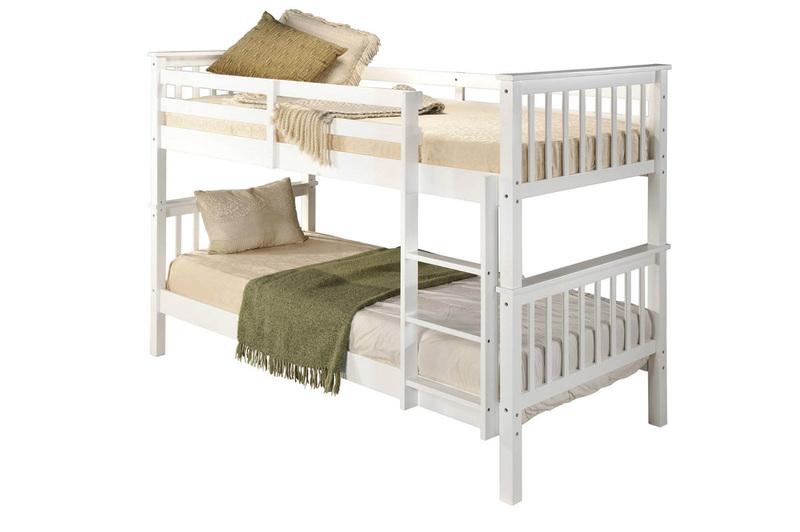 The 'George' Wooden Bunk Bed by 'Hi 5' is a fantastic space-saving solution for smaller rooms or for larger families. 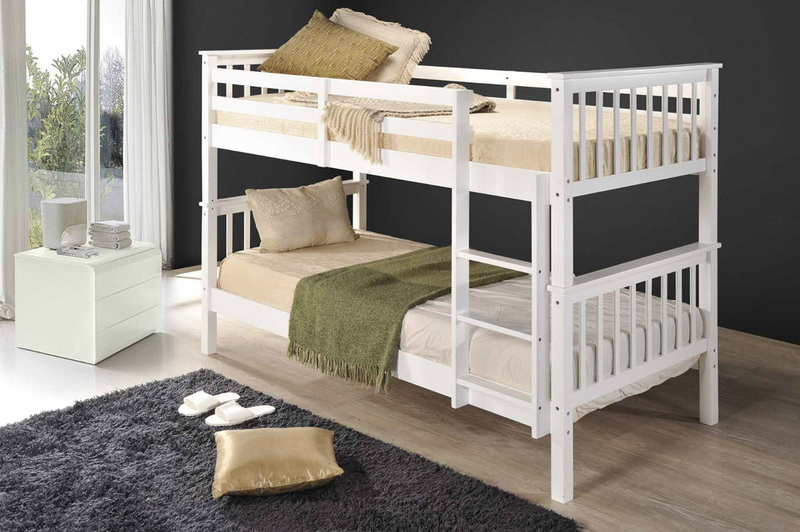 The 'George' bunk bed is constructed from the finest rubber wood which is of a better quality, more durable & more robust than pine wood that many bunk beds are manufactured from. It is available in a crisp White finish which would suit most style decor. 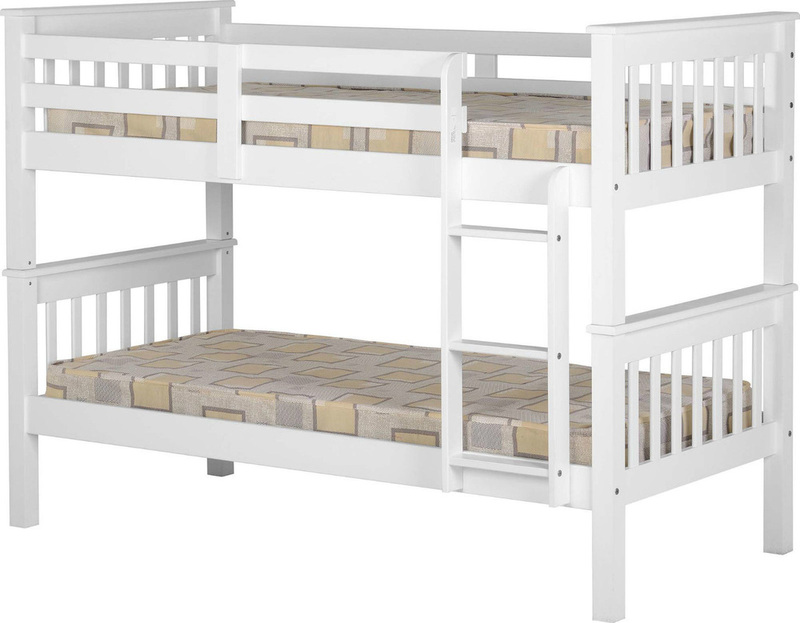 The upper bed is surrounded with substantial guard rails and is accessed by means of a removable ladder. The bunk bed can be split into two separate single (3ft) beds, if required. An absolutely outstanding quality solid & sturdy bunk bed at an unbeatable price! 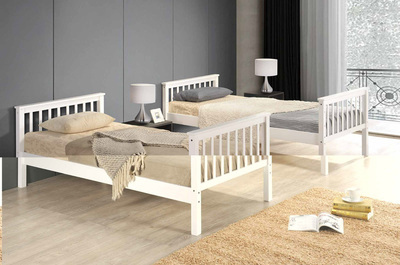 This is an award winning bed of the highest quality & available at a unbeatable price! 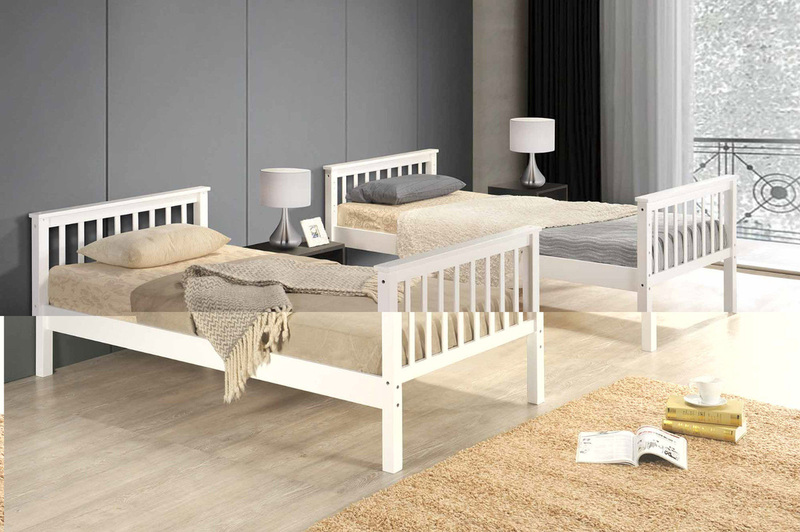 There have been imitations of this style of bed in different guises but the 'Sleep Design' version remains the original, providing greater quality & a more solid & robust frame than any of its competitors. Our beds are manufactured from UK Fire Safety regulated materials, not all cheaper versions sold online can guarantee this. Beware of all cheaper imitations! Cheaper is not always better! 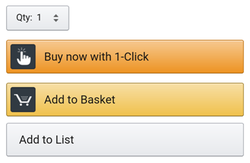 Cheaper is not always Safer!